Scientists are designing a blood test that could detect cancer before symptoms occur. Early detection allows early treatment and prevents cancer progression. Cancer is usually diagnosed after a patient has been experiencing symptoms. At this point, the tumor has already grown significantly and often has spread to other organs. Later stage cancers are more difficult to treat, have lower survival rates, and patients experience severe morbidity. When cancer is diagnosed early, immediate treatment can prevent tumor progression and will result in a positive patient outcome. GRAIL, a biotech company in California, is designing a simple blood test that can detect cancer in early stages, even before patients experience any symptoms. More than a billion dollars has been invested into developing the blood test that GRAIL believes will save lives. A recent article published in Science discussed the study. Scientists will isolate and sequence DNA from the blood sample. Dying cells in tumours are shed into the bloodstream, so some of this DNA will originate from the tumour. DNA from tumors have mutations in “cancer genes”, have different copy numbers of genes, and different regulation marks than normal DNA. Analysis of the DNA present in the blood sample allows scientists to recognize the presence of tumour DNA and detect cancer in the patient. 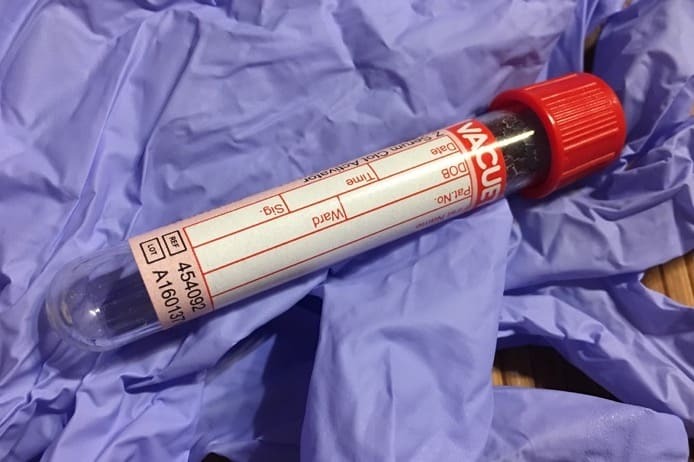 GRAIL tested blood from 878 people who had recently been diagnosed with early stage cancer and 580 people without cancer. The test could detect cancer 65% of the time with a very low false positive rate. For late-stage metastatic cancers, the test was accurate 95% of the time. Late stage cancers have tumors in more than one tissue type and the lymph nodes, so more dying cancer cells are shed into the blood, therefore cancer is easier to detect. The GRAIL blood test may also indicate the where the tumor is in the body by detecting certain biomarkers. A positive test could be easily followed up with imaging to confirm the presence of cancer and determine a treatment plan. This blood test has the potential to save countless lives and reduce morbidity for patients diagnosed with cancer. Reference: Kaiser, J. (2018). Blood tests show promise for spotting early cancers. Science, doi:10.1126/science.aat9122.